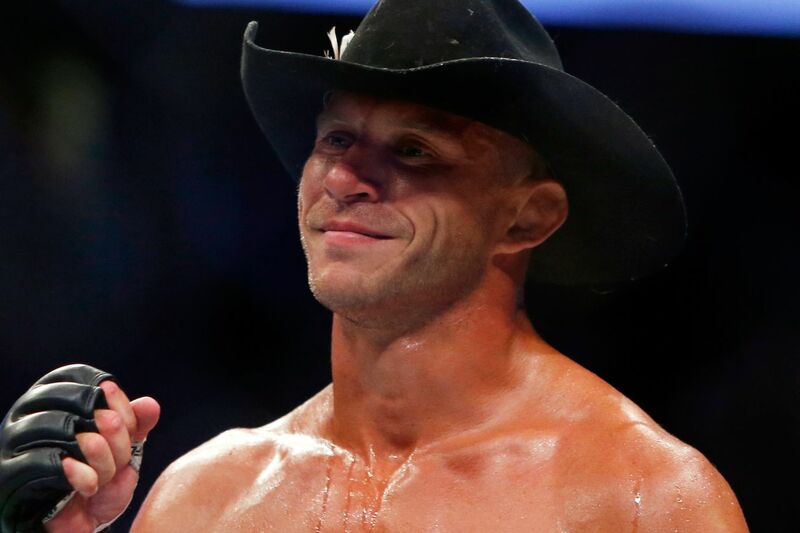 Longtime Ultimate Fighting Championship (UFC) lightweight veteran Donald Cerrone, who crossed over from the ranks of World Extreme Cagefighting (WEC) in early 2011, will be sticking around for the foreseeable future. “Cowboy” recently inked an eight-fight contract extension with the world’s largest mixed martial arts (MMA) promotion, according to MMA Junkie. That said, Cerrone averages four fights per year, so he could cross the finish line in late 2018. Cerrone, 33, has a staggering 22 fights under the ZUFFA banner and was expected to find offers from competing promotions, largely in part to his recent criticism of Reebok sponsorships, among other things. Sorry “Smooth,” you’re on your own. Fresh off his technical knockout win over Rock Story at the UFC 202 pay-per-view (PPV) event earlier this month in Las Vegas, Nevada, “Cowboy” will likely continue his current run at welterweight while things settle down in the 155-pound division. Who do you want to see him fight next?